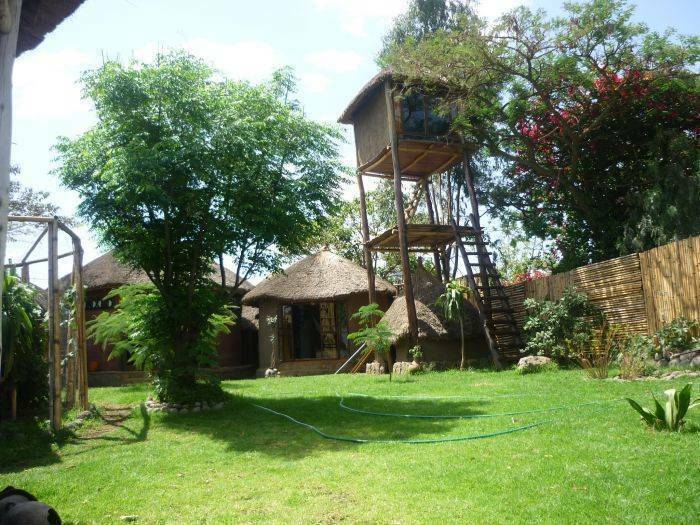 The Lodge is situated near Debre Zeit, a town at 47 km south of Addis Abeba (Ethiopia). WINNER OF THE AWARD OF EXCELLENCE by Tripadvisor in 2012. Run by a Belgian and an Ethiopian lady. We are on the border of Babogaya lake, which is an ancient volcano 1km2 wide, filled with clear water in which it is possible to swim or to go around with a kayak. Note that there is no problem of malaria in Debre Zeit. There are 8 rooms in a traditional style. Almost all have view over the lake. The lodge is going to the lake Babogaya . Some rooms are on top of the old crater, others down near the water. Some are in the house, others are in a traditional hut and others, finally, on stilts (above water). 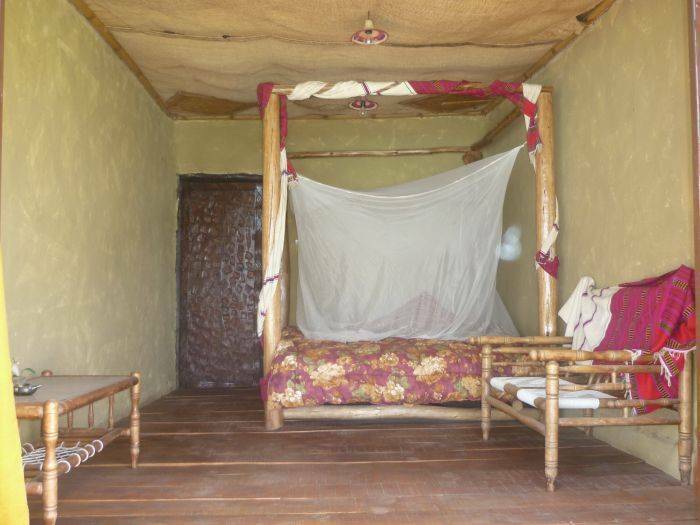 All rooms have double beds with moskito net. There are 2 family rooms with 2 double beds and bathroom. 4 other rooms have also a private bathroom. For those who like to sleep in the rooms near the lakeside or in the three-room (threehouse), there are 2 other bathrooms available. We can add 4 more single beds to different rooms so that classes with 20 children and 4 adults can make retreat at the lodge. The lodge is run by a Belgian guy and an Ethiopian Lady. You can see about 50 different birds from the garden and many tortoise. Emperor Haile Sellasie spent secretly his weekends on the lakeside. The climate is like throughout the year to what is found in the south of France in May. We want to offer a relaxing and enjoyable place for all those who love nature. For the foreigners, the price for 2 people is 900 birrs. If you are alone, the price is 700 birrs. The family room is 35 euros if the children are under 15 years, otherwise the price is 45 euros. Breakfast is included in the price. Ethiopian people have a discount. Just contact the manager. It is better to book, especially on weekends. we will answer in English, French, German, Dutch or in Amharic. All our food is made with fresh ingredients. The breakfast (included in room price) is served at the veranda with homemade bread, local bread, tea / coffee, fruits, local honey, etc.. It is possible to eat lunch and dinner at the lodge on request. Lunch: a cold buffet is offered with vegetables, potatoes, eggs, rice, bread, drinks and fruits (around 60 Birr). Dinner: two warm menus are prepaired (about 120 birr). If you just want an egg with bread, no problem. Local traditional Ethiopian drinks are also possible to taste. Coffee, tea and lemon are available free at all times. What can you do at our lodge? 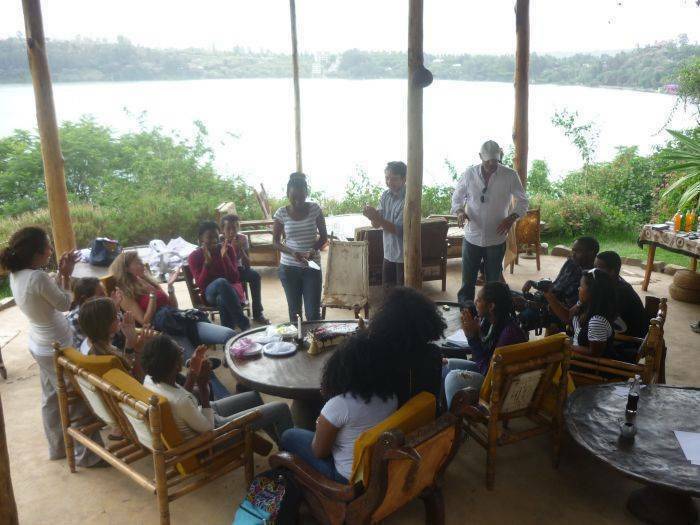 take part the traditional coffee ceremony to discover Ethiopian culture, Ethiopian life. What can you visit in the surroundings? 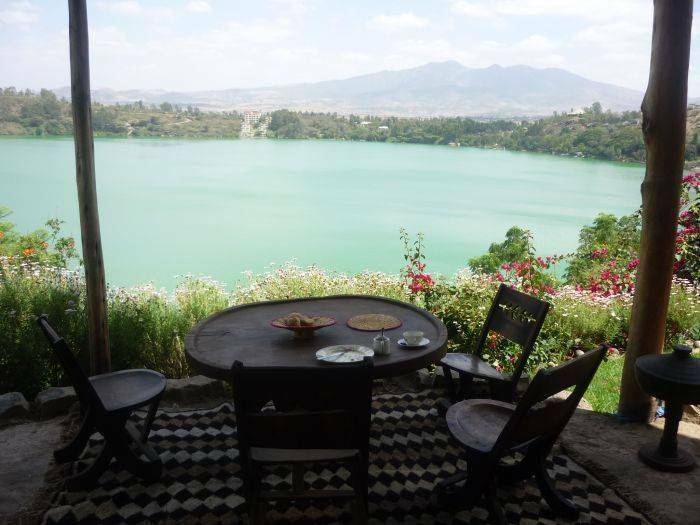 visit the 7 different lakes in Debre Zeit and its surroundings. 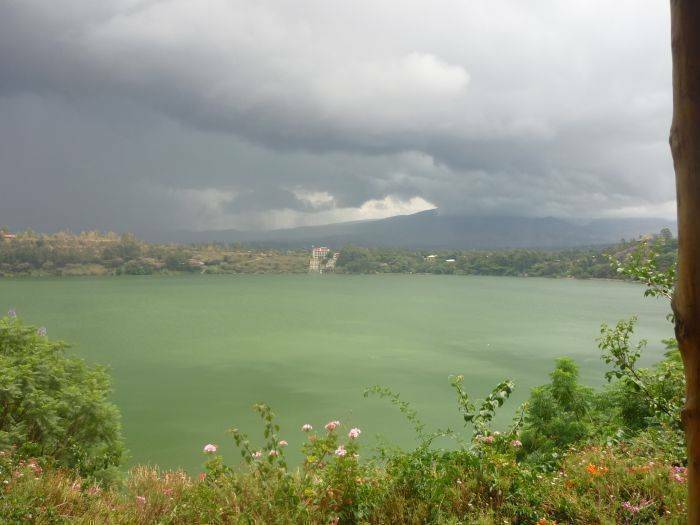 One at 500 m, Hora at 2 km, Bishoftu at 5km, Kilole at 12 km, Green crater lake at 20 km, the Cuban lakes at 7 km and the beautiful seasonal lake with often thousands of birds, from September to March, is at 2 km. Zequala Mountain at 30 km proposes you a climb of 1000m with a lake at the top. visit Debre Zeit Market on Tuesday and Saturday. climb up the Yerer crater, at 15 km, which is 2800 m above sea level. We are a special place for birdwathching. 2 rooms are on piloti near the waterside. 1 room is in a tree. 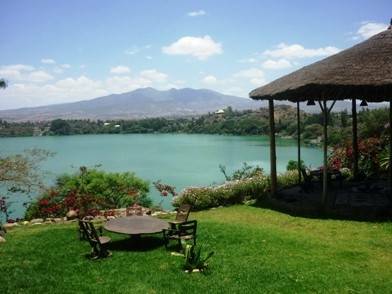 7 lakes are in Debre Zeit, several in the nearby. Olympic swimmingpool at 4 km of the Lodge. Birdwatching with 3000 cranes in wintertime and nests of vultures. The customer pays the bill cash in the lodge, USD or Birr. 1 hour of the capital and the international airport. You can take a yellow taxi from the airport. For about 30 euros (negotiation! ), it will take you to the lodge, day and night. You ask Debre Zeit Babogaya. Allow 1 hour to get home. We can pick you up during the day for 30 euros (with reservations only, minimum 1 week in advance). With a car, you drive 47 km from Addis on a paved road in the direction of Nazareth to the town of Debre Zeit. At Debre Zeit you follow the indication MARITIME TRAINING INSTITUTE. You see this big plate from the road to Addis and tell you to turn left in Debre Zeit, 5. 5 km to Babogaya. You follow always this road, you pass after 3 km the veterinary faculty of the Addis Ababa University on your right. You will see the big picture of this website just after the faculty. You follow this road and you take after some 800 m the asfaltroad on your right. You follow this road for 1, 5 km and you will see again the big picture of our lodge at the entrance of the lodge, on the left side of the road. So we are just 5 km from the center of Debre Zeit. It takes one hour from Addis. From Addis: Take a bus in Addis bus at the bus station to Nazareth. Attention is the bus station 300 m from the train station. From the south: take a bus to Addis Ababa and leave at Debre Zeit. At Debre Zeit, take a city minibus blue for HORA (4 birr per person maximum). At the terminus, where you have an asfaltroad on your right, you can take a blue Bajaj for 5 birr per person. They will drop you at the entrance of the lodge after 1, 5 km.